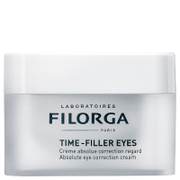 Transform the delicate eye area with the Biopelle Tensage Radiance Eye Cream; a cosmeceutical grade anti-ageing treatment that has been carefully developed through extensive scientific research to deliver age-defying effects. 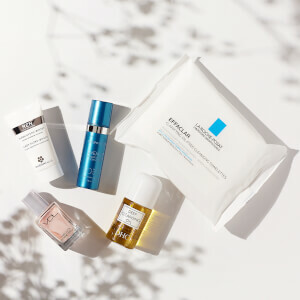 The advanced treatment utilizes Hyaluronic Acid and level 10 SCA Technology – which stands for Secretion of Cryptomphalus Aspersa, a type of snail – a unique fluid that contains growth factors and glycoproteins to effectively absorb and heal damage from the sun. Brimming with antioxidants and nutrients, the lightweight formula seeks to intensively hydrate and repair the eye contour, alleviating the look of dark circles and smoothing the appearance of fine lines. It supports healthy cell regeneration and encourages natural collagen formation, delivering a firming and tightening effect to visibly diminish wrinkles. 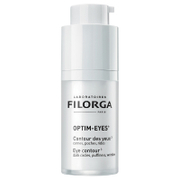 Eyes appear brighter and replenished with soft, taut skin and a youthful looking vitality. After cleansing and applying any Tensage Serum products, apply Tensage Radiance Eye Cream to the area surrounding the eye (once or twice daily) or as directed by your skin care provider. Water​,​ Snail Secretion Filtrate,​ C12-20 Acid PEG-8 Ester​,​ Glycerin​,​ C12-15 Alkyl Benzoate​,​ Saccharide Isomerate​,​ Portulaca Oleracea Extract,​ Hydrolized Soy Protein,​ Hexylene Glycol​,​ Cetyl Alcohol​,​ Squalene​,​ Cyclopentasiloxane​,​ Ethoxydiglycol​,​ Butyrospermum Parkii (Shea) Butter​,​ Hydrogenated Polyisobutene​,​ Sodium Hyaluronate​,​ Tocopheryl Acetate​,​ Fructose​,​ Palmitoyl Tripeptide-5​,​ Glucose​,​ Acetyl Tetrapeptide-5​,​ Superoxide Dismutase​,​ Titanium Dioxide​,​ Ammonium Acryloyldimethyltaurate/VP Copolymer​,​ Phenoxyethanol​,​ PEG/PPG-20/6 Dimethicone,​ Sodium Citrate​,​ Dextrin​,​ Sucrose,​ Urea​,​ Caprylyl Glycol​,​ Dichlorobenzyl Alcohol​,​ Chlorphenesin​,​ Sorbic Acid​,​ Silica​,​ Dimethicone​,​ Alanine​,​ Glutamic Acid,​ Aspartic Acid,​ Hexyl Nicotinate,​ Mica​,​ Titanium Dioxide (CI 77891)​,​ Iron Oxides (CI 77491)​,​ Disodium EDTA​,​ Fragrance​.